Exit Highway 417 at Bronson Avenue. Follow Bronson Avenue south approximately 2 kilometres. The campus entrance will be on the right at the intersection of Bronson and Sunnyside Avenue. Hwy 416 connects Hwy 401 (interchange near Prescott, Ontario) to Hwy 417. Follow Hwy. 416 to Hwy. 417 (East). Follow Hwy. 417 (the “Queensway”) and exit at Bronson Avenue. Follow Bronson Avenue south approximately 2 kilometres. The campus entrance will be on the right at the intersection of Bronson and Sunnyside Avenue. The 15-minute taxi ride from the Ottawa (Via Rail) train station to Carleton University’s Residence Commons costs approximately $15.00. Taxi fare from the Ottawa (Voyageur) bus terminal to Carleton University is approximately $10.00. Local OCTranspo routes #4 and #7 (both of which enter the campus) pass within a block of the Ottawa (Voyageur) bus terminal. OCTranspo’s Light Rail System – The OTrain. The O-Train provides service to Carleton University from the transit stations at Bayview (Lebreton Flats) and Greenboro (South Keys) with stops at Carling and Confederation Heights. 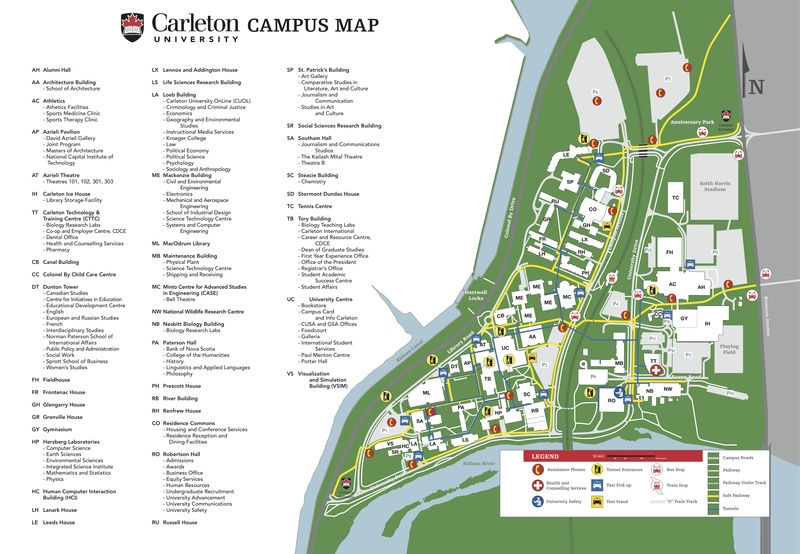 The taxi ride from the Ottawa Airport to Carleton University’s Residence Commons costs approximately $15.00. 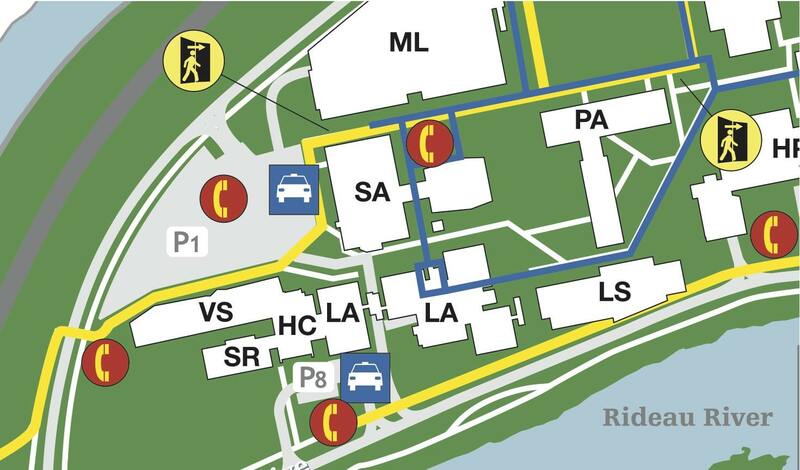 The closest parking lot to Patterson Hall (PA) is P1 which is located behind the library off of Library Road. Parking fees are $3 all day on Saturdays.